Since the mid-20th century, philosophy of education has taken a well-deserved place in science and teaching. University faculties and departments have appeared; there are research teams collaborating and creating open content material… Nowadays as usual during the time of critical fundamental changing humankind try to find out the answers on eternal questions: about the relationships between “I” as a Subject of Education, an Education, and relationship between them. We need modern solutions of these eternal questions. A ‘modern solution’ is provided by the information society, the new post-non-classical approach. It has been crucial to modify the method of passing from the abstract to something concrete; to define the terms of subject philosophy and of education as cognitive activity and pedagogy. A cognitive and competency-based educational model has been developed and relevant post-non-classical pattern of educational processes established. In my article, I apply information model of philosophy of science to philosophy of education, which is considered in three senses as a discipline scope for interdisciplinary studies and cognitive activity. The ‘road map’ of education is rational basis and methods for innovative practices in education. Keywords: scientific models, methods, subject philosophy, education as cognitive activity, cognitive and competency-based educational model, post-non-classical information pattern of educational processes, multi-level model of educational processes (‘spiral’), modified method of passing from the abstract to the concrete, interdisciplinary model of philosophy of education, philosophy of education as cognitive activity, “road map” of education, education for (in) the knowledge-based information societies. Barantsev R.G. Becoming Trinitarian Thinking. Moscow and Izhevsk: Research and Publishing Center "Regular and Chaotic Dynamics" Publisher, 2005. (In Russian). Bereiter C. Education and Mind in the Knowledge Age. New York: Routledge, 2002. Comenius J.A. The Maternal School. Moscow: Uchpedgiz Publisher, 1941. (In Russian). Comenius J.A. The Great Didactic. Moscow: Uchpedgiz Publisher, 1939. PDF-file. <http://www.narodnoe.org/Clas sics/Komensky/Komensky_Yan_Amos_Velikaya_didakt.pdf>. (In Russian). Comenius J.A. Selected Pedagogical Writings. Mocscow: Uchpedgiz Publisher, 1955. (In Russian). Comenius J.A. Selected Pedagogical Writings. Volume 3: The Visible World in Pictures. Moscow: Uchpedgiz Publisher, 1941. (In Russian). Davydov V.V. Types of Generalization in Learning: Logical and Psychological Problems of the Construction of Academic Subjects. Moscow: Russian Pedagogical Society Publisher, 2000. (In Russian). Davydov V.V. Problems of Developmental Education: Experience of Theoretical and Experimental Psychological Research. Moscow: Pedagogika Publisher, 1986. (In Russian). Egan K. The Educated Mind: How Cognitive Tools Shape Our Understanding. Chicago: University of Chicago Press, 1997. Fox C. Educational Psychology: Its Problems and Methods. New York: Routledge, 2013. Gingell J., Winch C. Key Concepts in the Philosophy of Education. New York: Routledge, 2002. Guttman C. Education in and for the Information Society. UNESCO Publications for the World Summit on the Information Society. Paris: UNESCO, 2003. PDF-file. <http://portal.unesco.org/ci/en/file_download.php/60a203d894a4002ada6bc3e4232d6d5ceducation.pdf>. Jonassen D.H. "Objectivism versus Constructivism: Do We Need a New Philosophical Paradigm?." Educational Technology Research and Development 39.3 (1991): 5—14. Lipman M. Thinking in Education. Cambridge: Cambridge University Press, 2003. Meskov V. "Open Content Methodology and Subject-Oriented Educational Environment." Digital Learning 4.2 (2008): 18—22. Web. <http://www.digitallearning.in/articles/article-details.asp?articleid=1727&typ=RESEARCH%20ARTICLE>. Meskov V. "Post-Non-Classical Methodology and Modeling of Reasoning." 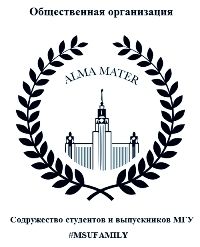 Proceedings of All-Russian Seminar on the Models of Reasoning. Logic and Argumentation. Kaliningrad, 2006. Meskov V., Kulikova I., Mamchenko A. "Open Content: Technology for Augmenting Public Domain in the Knowledge Society." Proceedings of the International Conference “UNESCO between Two Phases of the World Summit on the Information Society” (17—19 May 2005, St. Petersburg, Russian Federation). St. Petersburg, 2005, pp. 223—233. Meskov V.S., Mamchenko A.A. "Cognitive Competence Paradigm of Education." School Technologies 3 (2011): 46—62. (In Russian). Meskov V., Smirnova I., Mamchenko A. "Open Content in a Virtualized Real World. Adopting UNESCO Manifestations for the Knowledge Society." Digital Learning II.4 (2006): 19—21. Web. <http://www.digitallearning.in/april06/open_content.asp>. Meskov V., Smirnova I., Mamchenko A. "The Cognitive Paradigm of Education for the Information Society: Models, Competences and Cognitive Gaps." EDEN 2012 Annual Conference “Open Learning Generations. Closing the Gap from "Generation Y" to the Mature Life-Long Learners” (6—9 June 2012, Porto, Portugal). Budapest: European Distance and E-Learning Network, 2012.a, pp. 39—40. Meskov V., Smirnova I., Mamchenko A. "The Open Content Methodology and Subject-oriented Educational Environment." Information Technology in Developing Countries, a Newsletter of the International Federation for Information Processing 22.2 (2012.b). Web. <http://www.iimahd.ernet.in/egov/ifip/wg.htm>. Opryatnaya O.N. "Trinitarian Approach as a Methodological Basis for Managing Complexity." Sociology: 4M 21 (2005): 29—50. (In Russian). Piaget J. Selected Psychological Works. Moscow: International Pedagogical Academy Publisher, 1994. (In Russian). Raven J. Competence in Modern Society: Its Identification, Development and Release. Moscow: Kogito-Tsentr Publisher, 2002. (In Russian). Rauschenbach B.V. "About Logic of Triunity." Problems of Philosophy 11 (1990): 166—169. (In Russian). Rauschenbach B.V. "Logic of the Triplicity." Problems of Philosophy 3 (1993): 63—70. (In Russian). Rayner S.G. "Problematising Style Differences Theory and Professional Learning in Educational Psychology." The Australian Educational and Developmental Psychologist 30.01 (2013): 13–35. Salmani Nodoushan M.A. "Cognitive versus Learning Styles: Emergence of the Ideal Education Model (IEM)." Journal on Educational Psychology 8.2 (2014): 31—39. Scheffler I. In Praise of the Cognitive Emotions, and Other Essays in the Philosophy of Education. New York: Routledge, Chapman & Hall, Inc., 1991. Thomas D., Brown J.S. A New Culture of Learning: Cultivating the Imagination for a World of Constant Change. Lexington, KY: CreateSpace, 2011. Towards Knowledge Societies. UNESCO World Report. Paris: UNESCO, 2005. PDF-file. <http://unesdoc.unesco.org/ images/0014/001418/141843e.pdf>. 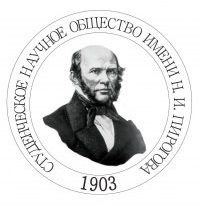 Vladimirov Yu.S. Metaphysics. Moscow: Bean Publisher 2009. (In Russian). Von Glasersfeld E. "Cognition, Construction of Knowledge, and Teaching." Synthese 80.1 (1989): 121—140. White R.W. "Motivation Reconsidered: The Concept of Competence." Psychological Review 66(5) (1959): 297—333. Yeager D.S., Walton G.M. "Social-Psychological Interventions in Education They’re Not Magic." Review of Educational Research 81.2 (2011): 267–301. 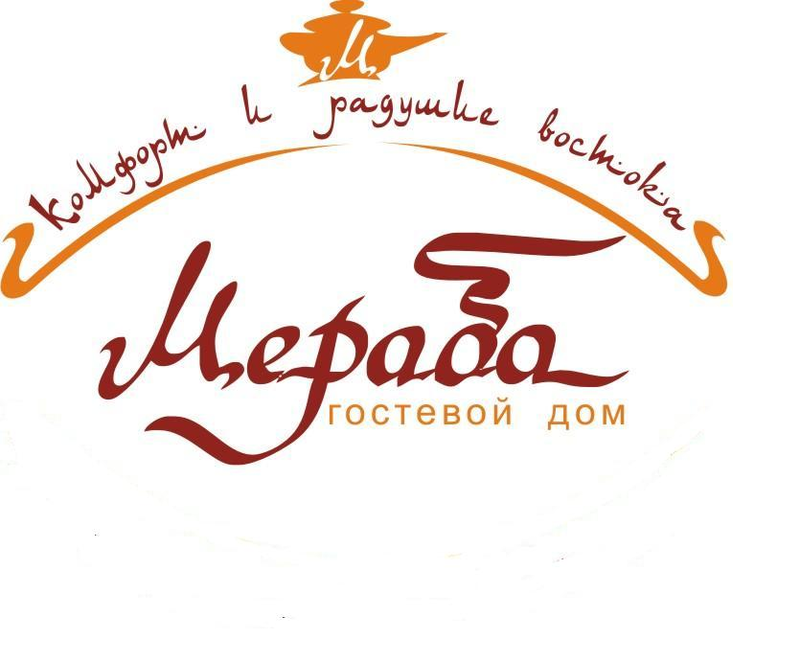 Meskov, V. S. "Philosophy of Education: Models and Methodology." Elektronnoe nauchnoe izdanie Al'manakh Prostranstvo i Vremya: ‘Prostranstvo i vremya obrazovaniya’ [Electronic Scientific Edition Almanac Space and Time: ‘The Space and Time of Education] 8.1 (2015). Web. <2227-9490e-aprovr_e-ast8-1.2015.11>. С середины ХХ в. философия образования заняла заслуженное место в науке и преподавании. В университетах появились сответствующие факультеты и кафедры, сложились научные школы, создающие открытый контент. Однако в настоящее время, как всегда в периоды сущностных изменений и парадигмальных сдвигов, человечество пытается найти ответы на вечные вопросы, в том числе об отношениях между "Я" как субъектом образования, образованием и отношениями между ними. Настоящая статья представляет авторский подход к решению данных концептуальных вопросов. Ключевые слова: научные модели, методы, субъект, образование как когнитивная деятельность, когнитивная и компетентностная образовательные модели, постнеклассический информационный паттерн образовательного процесса, многоуровневая модель образовательного процесса («спираль»), модифицированный метод нисходения от абстрактного к конкретному, междисциплинарная модель философии образования, философия образования как когнитивная деятельность, «дорожная карта» образования, образование для (в) основанном на знании информационном обществе. Баранцев Р.Г. Становление тринитарного мышления. М. — Ижевск: НИЦ «Регулярная и хаотическая динамика», 2005. Владимиров Ю.С. Метафизика. М.: Бином, 2009. Гутман С. Образование в информационном обществе. Издание ЮНЕСКО для Всемирного Саммита по информационному обществу. CПб. : ЮНЕСКО, 2004 [Электронный ресурс]. Режим доступа: http://unesdoc.unesco.org/images/0013/001355/135528R.pdf. Давыдов В.В. Виды обобщения в обучении: Логико-психологические проблемы построения учебных предметов, М.: Педагогическое общество России, 2000. Давыдов В.В. Проблемы развивающего обучения: опыт теоретического и экспериментального психологического исследования. М.: Педагогика, 1986. Коменский. Я.А. Великая Дидактика. М.: Учпедгиз, 1939 [Электронный ресурс]. Режим доступа: http://www.narodnoe.org/Classics/Komensky/Komensky_Yan_Amos_Velikaya_didakt.pdf. Коменский Я.А. Избранные педагогические сочинения. М.: Учпедгиз, 1955. Коменский Я.А. Материнская школа. М.: Учпедгиз, 1947. Коменский Я.А. Избранные педагогические сочинения. Т. 3: Мир чувственных вещей в картинках / Пер. с лат. яз. Ю.Н. 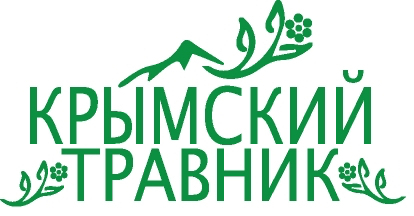 Дрейзина. Под ред. и со вступит. ст. А.А. Красновского. М.: Учпедгиз, 1941. Опрятная О.Н. 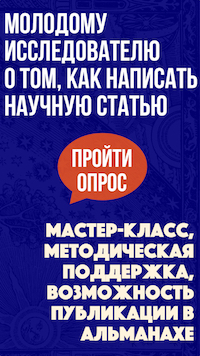 Тринитарный подход как методологическое основание управления сложностью // Социология: 4М. 2005. №. 21. –С. 29—50. Раушенбах Б.В. О логике триединости // Вопросы философии. 1990. № 11. С. 166—169. Раушенбах Б.В. Логика троичности // Вопросы философии. 1993. № 3. С. 63—70. Сорина Г.В. Критическое мышление: история и современный статус // Вестник Московского университета. Сер. 7. Философия. 2003. № 6. С. 98 –111. Сорина Г.В. Критическое мышление и метод экспертных групп // Ежеквартальный журнал Эпистемология и философия науки. Т. III. 2005. № 1. С. 194—204. Сорина Г.В., Грифцова И.Н. Философские идеи Канта в контексте логики и педагогики // Иммануил Кант: наследие и проект. М.: Канон +, 2007. С. 451—469. Meskov V. "Open Content Methodology and Subject-Oriented Educational Environment." Digital Learning 4.2 (2008): 18—22. Web. <http://www.digitallearning.in/articles/article-details.asp?articleid=1727&typ=RESEARCH %20ARTICLE>.